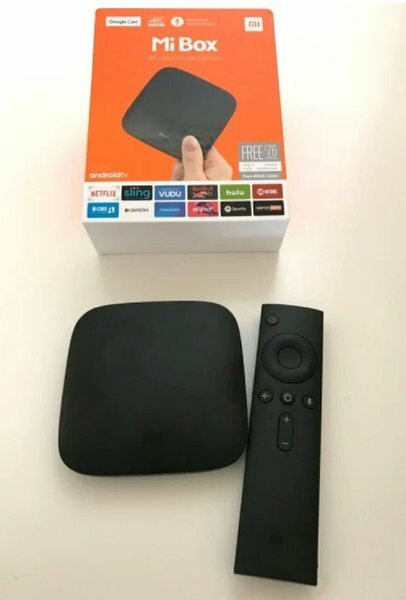 Upgrade your television experience with the sleek yet powerful Mi Box, a streaming device and gaming box powered by Google's Android TV operating system. Mi Box allows you to access your favorite streaming apps including Netflix, HBO, Showtime, YouTube and more directly on the big screen. You can also enjoy live TV channels such as ESPN, Disney, CBS and CNN all without a cable subscription via Sling TV. With support of up to 4K Ultra HD at 60 frames per second, true to life pictures pop from your screen as you watch the NFL live or play a racing game. This is how television content was meant to be consumed, what you want and when you want it, all with the sharpest and smoothest video quality. Powered by Google Cast, Mi Box makes sharing your small screens easy. You can cast shows, movies, music and more from your phone, tablet or laptop onto your TV with a single tap. The Mi Box remote comes with Google voice search built in and gives you ultimate control.